The drive to establish Manchester as a forerunner in the digital economy means the city is now considered the “powerhouse” of the North of England, with salaries for city workers at the highest in the UK outside of London. Despite this, Manchester remains home to some of the most socially and economically deprived communities in the UK: just as those who work in the city earn the highest salaries outside London, those who live in the city earn the lowest salaries of the UK’s Core Cities. Responding to the particular challenge widespread deprivation poses for a city experiencing economic growth, the administration has deployed an entrepreneurial model of urban development, characterized by close partnerships with private organizations and local actors. This chapter explores the governance of the ICT-related developments responsible for transforming Manchester into a “digital powerhouse” and challenges the city’s recently announced “Next Generation Digital Strategy” poses. What do you consider to be the main challenges those responsible for governing Manchester face? What are the main social and economic challenges Manchester currently faces? How is the city responding to them? What particular action is Manchester taking? Please give examples. What guidelines do you follow in taking in acting on these challenges? What are the aims and objectives of any such actions? What main tasks are you currently involved with? How will completing these tasks change the perception of the Manchester? How shall they improve the image of the city? How will these improvements promote a positive image of the city? How does all of this lead to the perception of Manchester as a “well-governed” city? What role can cities play in “information society”? How can ICTs enhance life in the city? In Manchester in particular? How have these changes affected the quality of service delivery, and what evidence is there to support this (if available)? Have these changes affected residents’ satisfaction in service delivery, and what evidence is there to support this (if available)? Can you give an example of any opportunities and challenges that can be identified as a consequence? What should the city do to respond to these? What is it currently doing? Does the city have an ICT action strategy? Can you provide any further information on the development of this? How is ICT used within the city administration? What is your opinion of the current ICT setup within the administration of the city? Has there been a change to the decision-making process within the city? If so, can you provide an example? How has this affected your work? How do you keep yourself informed, with regard to the impact of ICTs on the administration of the city? Which topics do you feel well informed on, and which would you like to know more about? How has the city/your department worked to train employees on new ICT developments? What changes have ICTs contributed to the current governance model in Manchester and in what respect have these changes been made apparent? Please give reference to specific procedures and tasks that have been affected by such changes. Would you expect subsequent ICT systems to further impact upon governance processes in Manchester? In the last 5 years, what have been the main ICT developments that have led to the current model of governance used in the administration of Manchester today? 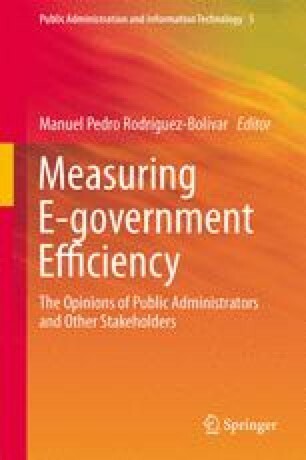 With respect to the impact that ICTs have had on the administration of government processes, which individuals/groups are driving this change and making the key decisions? In your own role, what capacity do you have to influence the uptake of ICTs and subsequently shape the governance model in Manchester? In making such decisions, which other individuals and groups are consulted? What would you say are the main problems experienced by the current model of governance used in the administration of Manchester today? With reference to ICT developments, please outline the extent to which citizens currently participate in the current model of governance in Manchester today? What could be done to improve such citizen participation? With reference to the current model of governance in Manchester, have there been any notable developments that have been primarily driven by the emergence of ICT? What do you think are the opportunities and challenges that exist for the further application of ICT-enabled governance in Manchester? How do you see yourself participating in the future ICT-enabled model of governance in Manchester? In the short term, what improvements to the current model of governance in Manchester could be initiated (primarily) with the support of ICTs? How is the city’s use of ICTs helping to regenerate Manchester? What are the main drivers behind this ICT-related regeneration? What do you think is making such a regeneration of the city possible? What do you consider to be any possible barriers to Manchester’s regeneration? What do you consider to be the main risks in the actions the city is taking to regenerate Manchester? How is the city making sure the regeneration of Manchester is well governed? Do you think what Manchester is doing can be said to be a model of “good governance” and other cities would be wise to follow?